Home / Blog / Welcome Southern New Hampshire University! Saylor Academy is pleased to announce a new degree completion partnership with Southern New Hampshire University (SNHU). SNHU will accept/recognize certain Saylor Academic courses for college credit, using “Saylor Direct” credit courses and a proctored final exam. Partnerships offering transfer opportunities for prior and concurrent college level learning benefit students, such as the 45 million+ Americans with some college credit and no degree, as well as working learners of all ages seeking a degree for the first time. SNHU is an accredited, non-profit university in Manchester, New Hampshire, and offers online as well as in-person degree programs. It is the second-largest online education provider in the country, serving over 80,000 students. Saylor Academy is a nonprofit educational initiative, providing free, college-level, self-paced courses to learners worldwide. 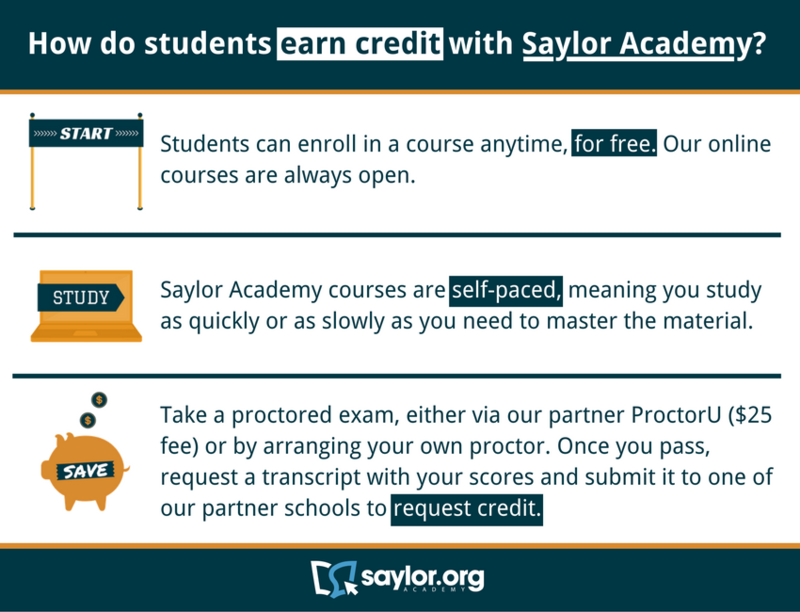 Saylor Academy Direct credit courses are recommended for credit by the American Council on Education® and/or the National College Credit Recommendation Service. Together with our college and university partners, we provide students with flexible credit transfer pathways to degrees and credentials.